Edinburgh Festival time is coming, and the Assembly Hall on the Mound will once again be a Festival venue. As well as the Assembly Hall, the Rainy Hall and various other rooms at New College will be used during this year’s Festival Fringe from Friday 21st July to Friday 1st September 2017.The Quad will also be in use as a bar and the box office will be located on Mound Place. 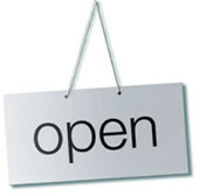 New College Library remains open throughout the Festival season. Should you see any sign at the gates saying ‘This Venue is Closed’, this will apply only to the Festival Fringe venues and will not restrict your own access to the Library, which you can enter as usual. During Fringe performance times, access to the Quad will be controlled by Fringe staff and you are advised to carry your staff or student card, to facilitate your entry and to minimise any inconvenience. 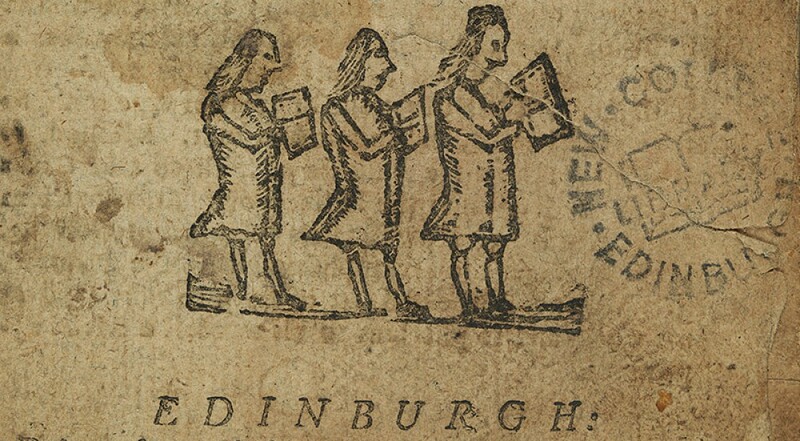 If you are visiting Edinburgh, you are welcome to register for visitor reference access to New College Library. Please bring two forms of identity with you. We require photographic proof of identity, confirmation of current address, and a passport size/style colour photograph to register for a reference card. 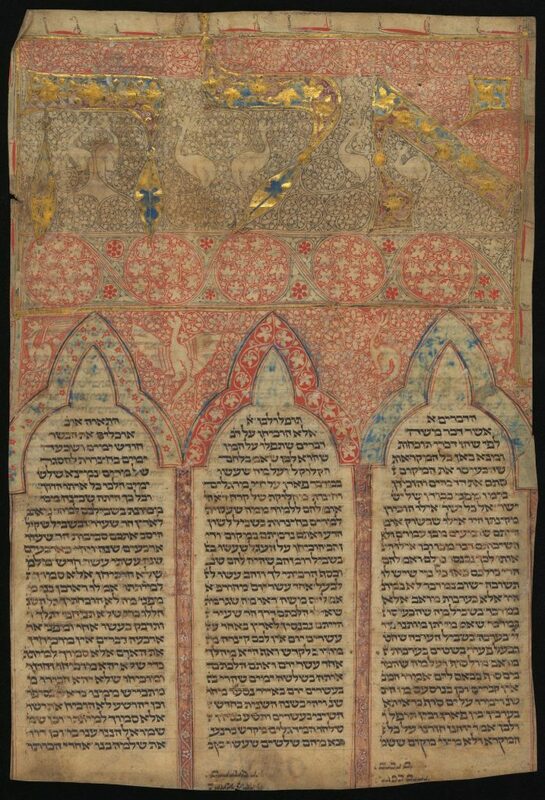 Currently on display at New College Library for the British Association for Jewish Studies Conference to Edinburgh at New College is this lovely manuscript item from New College’s historic archive collections, originally coming from the Library of the General Assembly of the Church of Scotland. This is the first page of an illuminated Hebrew manuscript known as Rashi’s Commentary on Deuteronomy. Rashi was Rabbi Shlomo Yitzchaki (1040-1105), an acclaimed French medieval scholar, whose explanations of scriptures were valued for their precision and simplicity. The British Association for Jewish Studies Conference to Edinburgh at New College today covers a wide range of topics under its theme of ‘Jews on the Move’ including the theme of Jewish-Christian relations. 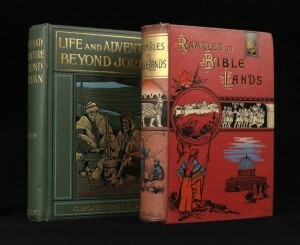 New College Library’s collections from the nineteenth and early twentieth centuries provide a window into Jewish-Christian relations, particularly through travel writing, and through development of missions to Jews in the Middle East. New College Library’s collections are rich in the area of nineteenth century Christian encounters with Jews, usually in the form of mission to Jewish communities. 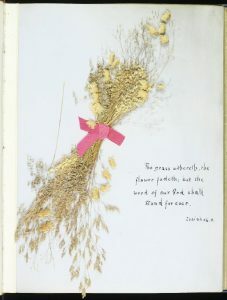 The New College object collections include objects collected from trips to the Holy Land, including the pressed flower album of ‘Bible Plants’ above, phylacteries, a prayer shawl and a scale model of the Temple of Jerusalem. 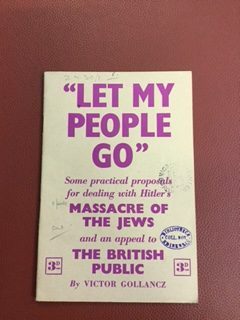 The book and archive collections include some fascinating materials from the Church of Scotland’s development of missions to Jews in the Middle East, including books, archives and objects relating to Rev. Andrew A. Bonar and Rev. Robert Murray McCheyne. Bonar and McCheyne were appointed by the Church of Scotland in 1838 as part of a deputation to visit Jewish communities in Europe and the Middle East, with a view to future mission activity. The William Fulton Jackson Collection preserves the collection of man who was an enthusiastic armchair traveller to the Holy Land, with a popular, rather than academic interest in Israel and Palestine. 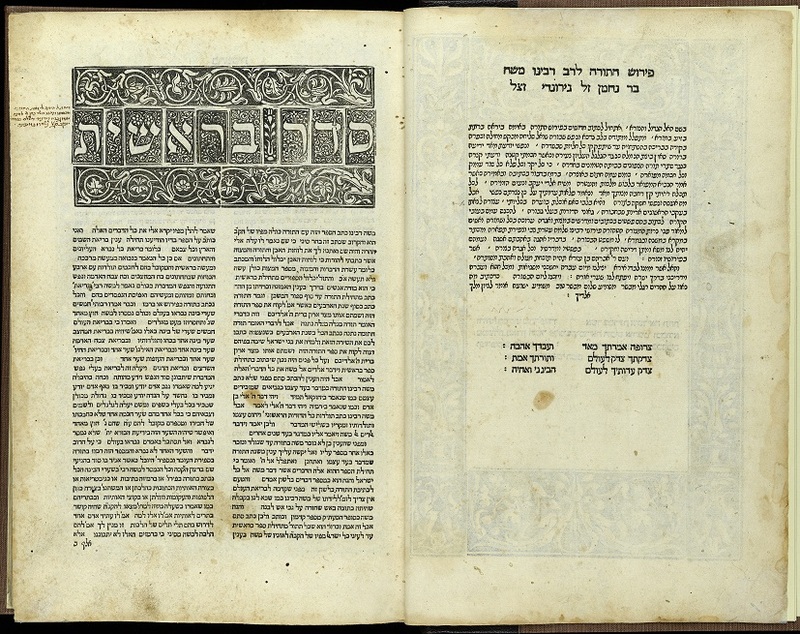 His collection also includes many works on Jewish Studies, including encyclopedias and dictionaries, and demonstrates a keen interest in understanding Jews and Judaism. New College Library’s Pamphlets Collection of over 35,000 items reflects a deliberate policy from the foundation of New College library in 1843 to collect pamphlets and ephemera on historical, religious and current issues. 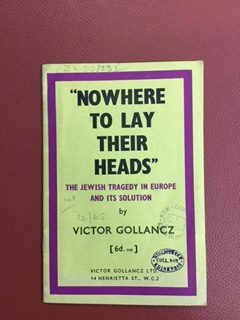 The collection includes these three pamphlets are examples of the publisher Victor Gollancz’s campaign to draw attention to the plight of the Jews in Europe and to demand that the British Government provide rescue and sanctuary for Jewish victims. 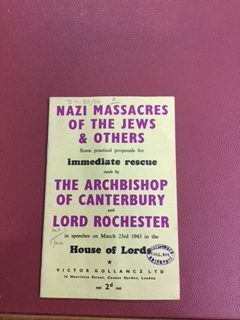 Sadly no changes to refugee policy were made by the British Government and after William Temple died in 1944, the impetus for rescuing the Jews did not continue.